Our clients frequently rely on decídalo to perform a complete reworking of their consultant CV templates. Over the last ten years we have remade countless templates. Clients consistently ask us for examples of templates and best practices. What follows is a summary of the typical variations we have seen in practice: We have created a number of templates from these examples and made them available for free download. CVs are employed in one way or another by every consulting firm. Unsurprisingly, CVs play a very large part in “selling” individual consultants. If CVs are used at all in the competition for projects or contracts, it is in the early stages of the bidding process, where they serve as proof of the company’s expertise. The ideal appearance of a consultant CV strongly depends on the company’s positioning. Even the role of CVs in the bidding process can vary greatly. Most consulting firms have two versions of their template, if not more. One of these is anonymous while the other features names and a photograph. Word is by far the most frequently used file format for CV templates. Nearly all Word CVs are laid out in portrait orientation. We rarely find landscape orientation used in templates. The second most frequently employed format is PowerPoint. It is used almost exclusively for short, usually one-page profiles. Companies making use of the PowerPoint profile also tend to maintain long versions in Word. In the management consulting field, PowerPoint is sometimes used exclusively. Anonymous CVs almost always feature the consultant’s job title, city and, frequently, academic degree. Remarkably, they often contain the birth year and occasionally information on citizenship. Non-anonymous templates additionally include name and photo. Firms rarely provide direct contact information in the form of phone numbers or email addresses. Following the header data is a brief, typically free-text description of the consultant. An increasingly popular feature is the summation of the most important points from the sections that follow, emphasizing top skills, the most important certificates, an industry focus or major projects. Information of greatest relevance to the client is featured on the first page. Every CV template we have seen includes some kind of presentation of knowledge and experience. We find little variation in language competence and sector experience. With skills, however, there are substantial differences. Notably, companies have their own ways of grouping and structuring the information. There are groupings according to skill level (expert skills, advanced knowledge, basic knowledge), thematic area (methods/skills, programming knowledge, etc. ), technologies (Java, Net, and so on), software producers (Microsoft, SAP…) or any number of combinations of these. In body leasing, businesses are more likely to use comprehensive, detailed skills lists frequently grouped by technology or manufacturer. Lengthy recitals of skills are an indication that the applicant has had highly comparable experience. Business consultants, on the other hand, usually present their skills compactly and at an abstract level. In IT consulting, information regarding certificates is common. There are considerable differences regarding the significance of these. For providers of hardware-related or production-oriented services, manufacturer certificates play a decisive role. There is correspondingly great value placed on how certificates are presented. Certificate logos are an appropriate way to highlight a consultant’s certifications. Project history is an integral element in every consultant CV. For the reader, this is the essential part of the profile. Naturally we understand that this section is of great importance to our clients, and this is where we devote most of our efforts in improving CVs. There is little variation when creating a project list and its components. Project name, sector, client or client alias (anonymous client description), project description, role in the project and specific description of duties are almost always included. It is also common for IT consultants to list the skills or tools used. Differences in formatting and layout can be seen. The objective is to create as clear and consistent an appearance as possible. In this task, not only the template but also the texts describing projects and activities have a significant influence. For this reason, some of our clients use text blocks to achieve standardization. The typical project history lists the projects’ starting/ending dates (usually month and year) in chronological order. A disadvantage is that the reader — the potential client — is not drawn directly to the most relevant projects. For this reason, some firms display only the duration of projects, customizing their sequencing to each competition, with the most appropriate projects appearing at the top of the list. As a supplement to project experience, work history and completed training programs are frequently listed. More impressive than skill descriptions and project histories are personal recommendations. Despite this, very few companies include client references in consultant CVs. There is usually no systematic process in place to solicit client feedback. In addition, especially in Germany, CVs are often still sent out anonymously. Nevertheless, we regard client endorsements as a highly effective means of giving greater weight to the consultant profile. In this area, most firms have room for improvement. Publications are another effective way to display a consultant’s competence. While publications tend to appear more often than client feedback, far too few companies make use of this option. The only disadvantage is that publications are ill-suited to anonymous profiles since the author’s name is always included. 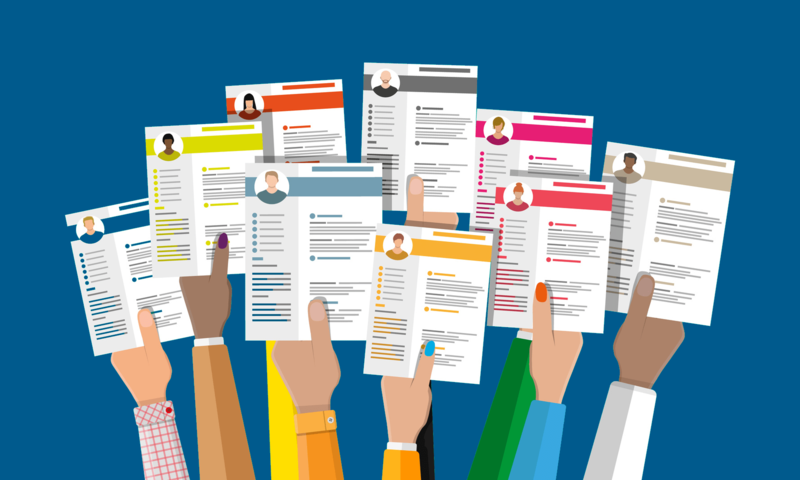 The absence of publications in personalized CVs, however, represents untapped potential.